NICE is preparing to apply its healthcare technology assessment (HTA) experience to health-focused mobile applications, and will start publishing a series of non-guidance briefings in the coming year. The new Health App Briefings from the UK's cost-effectiveness watchdog are designed to set out the evidence and data for healthcare professionals and prospective app users with the aim of determining the efficacy of these digital health regimens in a real-world setting. The programme is currently in mid-way through its pilot stage, with this due to come to a close in March 2017. Digital health - particularly real-time data gathering - is a key priority for NICE, which has been working with Public Health England and the National Information Board (NIB) over the past year to devise a standardised process for evaluating health apps. Its evaluations will build on the Paperless 2020 simplified app assessment process - as recommended in the recent Accelerated Access Review - to create a “digital infrastructure [that] should enable the system to capture information on the use of innovations and associated outcomes”. However, there are a lot of challenges in doing so, NICE's deputy chief executive and director of health and social care Prof Gillian Leng acknowledged. Speaking at Westminster Health Forum's Assessing priorities for NICE conference in London last month, she said: “Mobile applications are in a state of flux - there are lots of them and limited evidence. There are currently five Health App Briefings under development, one of which, Prof Leng confirmed, is for the sleep aide app Sleepio. Based on cognitive behavioural therapy, the Sleepio app is a six-week sleep course, personalised to each user through an in-depth questionnaire or 'sleep score'. The app is currently available on the NHS in a few limited areas, but costs £200 for one year's access outside of these regions. Such apps will be the focus of the Health App Briefings, according to Prof Leng, with NICE and NHS England keen to evaluate digital tools with psychological applications. NHS England's cognitive behavioural programme Improving Access to Psychological Therapies (IAPT) in particular is tipped to benefit from the briefings, as the NICE-evaluated apps grow to establish a foundation of mental health data and improve access to tailored care. According to research undertaken by the NIB, apps have the potential to massively reduce costs to the health and care system, with digital interactions with HCPs coming in at around 1% of the face-to-face cost. 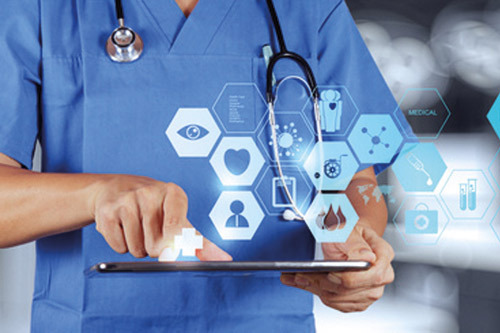 However, the UK's healthcare system is thought to be between 10 and 20 years behind other industries for digital technology uptake, despite several recent initiatives such as the NHS app library and multi-million pound NHS digital academy. Approximately 3.4 billion people worldwide own a smartphone, with half using health apps, of which the vast majority fall within a broad 'health and well-being' category. It's estimated that just 9-14% of apps reside in the 'medical' category designed to target HCPs. To date, NICE has developed three of its own apps for healthcare professionals, providing offline access to NICE Guidance as well as adult and children medicine information resources via the British National Formulary.